In the past — before fitness trackers — we relied on intuition to tell us how active we actually were. While we could count reps at the gym or set a treadmill to walk or run a certain distance, it was impossible to know how many calories we were actually burning and how much effort were we expending. And then there was the rest of the day— how much activity were we getting at work or school, running errands, shopping or doing household chores? A fitness tracker is wearable technology that measures things like number of steps, calories burned and heart rate. Modern trackers contain sensors and a computer chip, and some work by sending the information they collect to a smartphone app or other database. In fact, some of the most progressive fitness facilities collect the data from the trackers and allow members to receive personal reports from anywhere. And trackers are getting better all the time. While they used to just count steps, they now check your pulse; can tell if you’re sitting, standing or running; know where you are and what direction you’re going via GPS; measure how many calories you’re using; and can tell how many stairs you've climbed with a gizmo that measures your altitude. They can even tell you how well you sleep. While most fitness trackers are worn on the wrist (like a Fitbit or smartwatch), there are also models that are made to be worn around the neck or clipped onto your clothes. Some of the newest tech includes a finger ring with tiny technology inside and special fitness-tracking athletic shoes. Some trackers are also waterproof, perfect for those who enjoy swimming or water skiing. 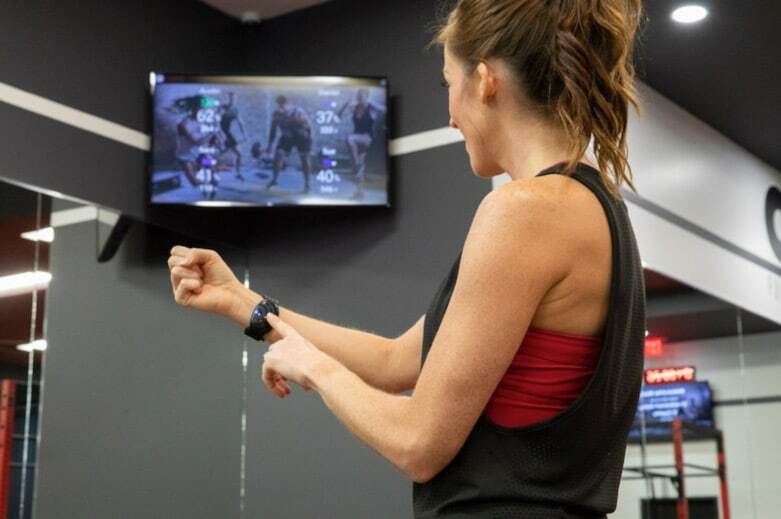 While trackers don’t replace a personal trainer, they can certainly help you remember to maintain your fitness routine. It’s important to understand that each person is different. Your metabolism, resting heart rate, body mass index and age all contribute to your health and fitness level. Knowing these personal stats, no matter where you are on your fitness journey, gives you a baseline and allows you to set goals and see how you’re progressing and improving over time. Additionally, knowing how many calories you’re burning each day allows you to plan your diet. If you’re trying to lose weight, you'll want to take in fewer calories than you're expending. Of course, if your goal is to gain weight, the opposite will be true. Trackers are also being used more and more in workplaces, where employees compete against each other to walk the most steps or take part in the most physical activities. With “gamification,” teams of coworkers or friends can earn badges, unlock achievements and win prizes. 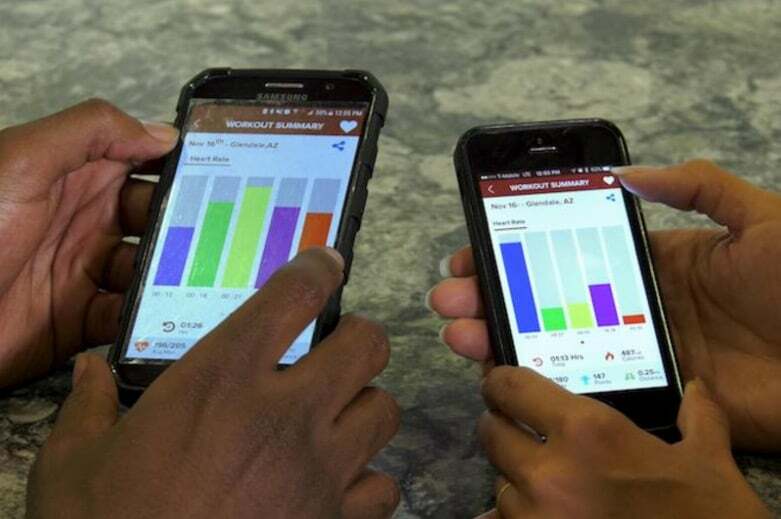 Fitness phone apps allow people to post their stats to social media for bragging rights. Some personal trackers take things a step further, encouraging wearers to rest, breathe or relax in order to find the right balance. There are even trackers custom-made for kids. Knowing about your body — your resting heart rate, the amount of activity you get when you're not actively exercising, how many calories you're burning—is a perfect place to begin becoming healthier. A fitness tracker also lets you measure your progress as you become stronger and fitter, which is an excellent motivator to continue your fitness regime. “Being aware of how active you are is the starting point for improving your health and wellness to be able to live a fuller, more realized life,” says the spokesperson for Mountainside Fitness.